Paphos car hire - Cyprus. Thrasos Cars - Affortable quality with Cyprus car rental company. 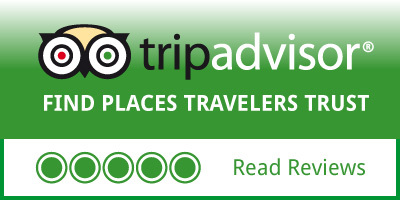 Welcome to Thrasos economy Paphos car hire in Paphos-Cyprus, on the island of Cyprus. We offer cars and 4x4s for hire by the day or week for your stay in Cyprus. Rent a car with no extra charges for delivery to Paphos Airport or Larnaca Airport, and other locations in Cyprus. Thrasos economy car rentals rates promise you no hidden charges! The cheap price you are quoted is the price you pay. Our cheap prices include: full insurance, zero excess, with tyres and windscreen cover. Enquiries for car rentals availability are answered within 24 hours, hopefully a lot quicker. Thrasos car rentals never require a deposit. You pay either cash or credit card on delivery of the car. We know that your holiday is very important to you and your family, so we offer great reliability and great availability, all with great affordability. Car hire Paphos - Book your car hire easily and with confidence. For your INSTANT quote on a vehicle, just complete the enquiry form with your details and submit. You will be contacted very shortly. No deposit needed, no credit card. You can pay at the Airport on arrival, or at your Hotel. No Mandatory extra charges GUARANTEED. Cars are deposited at airport carparks for the arriving customer, who is asked to leave it in the same car park at the end of their holiday. Hi, I have just received what looks like a very good deal from Thrasos with regard rental for my holiday from this following Monday (18th August). I must admit it feels a bit too good to be true so I'm a tad nervous. He has offered me a 4 door medium automatic saloon car with a/c at a great price. No requirement for security deposits on credit cards, no fuel scam and payment by cash on arrival. Can anyone indicate what kind of cars he rents as I don't really want to get stuck in the mountains or in the middle of nowhere should it break down. Thanks for your feedback. Really glad that you got a good deal with him. Thrasos is a nice person, very genuine. He is just a Cypriot trying to make a living. He is not out to rip tourists off. We will be renting from him again. Hello Thrasos Would just like to say thank you for the car hire and say how happy we were with the car at such a good price. I hope you found the car in the correct place that we left it at the airport this morning. Hope to use you again on our next visit to paphos. Very good value. Excellent service. Straight forward ordering. Friendly and helpful staff. Clean and good condition of car. Would recommend to anyone and will use again. Thank you for making our holiday great. We used the car for a week. Easy to fill and easy to drive. Thanks Thrasos ! Hello, Just writing to thank you for the opportunity to see your beautiful country. 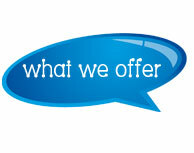 The car was in a brilliant condition, the service was good and everything went smoothly. Thank you again and hopefully we can contact you again for future trips or recommend you for our friends.